Do you want to write an good essay and do not know where to start? Here are suggestions for you. You should look at them instead of worrying. The subject is the essence of an essay. So the topic you choose represents your essay. İf you have already had a topic, you can start to think on it. Your topic may be so general, in this case you should subdivide it. For example; if your topic were “Spain”, you could separate this topic into headings such as “the history of Spain”, “places to visit in Spain” or “the life in Spain”. But if you do not have a topic, you should think of the areas which you are good at. You can choose one of them or another interesting topic. So you can even make your topic that is boring to others interesting. After the choice of the topic, you can start to search the details of your topic. For it, you can read the other people’s essays. Reading other people’s essays can help you develop and build on your own essay-writing style. You can see different introduced ideas and how the writer has supported their points with evidence. When you read essays, be objective and consider the positive and negative sides of each ideas. In order to write an effective essay, you must put in order your thoughts. The easiest way to do this is to put what’s in your head in paper. You prefer to write the title of your topic in the middle of your page and add positive ideas in the right side, negative ideas in the left side. So you can see easily the connections between the topic and your thoughts. Thesis statement expresses the main ideas of your essay. So you should be careful when you choose the thesis statement sentences. Your sentences should draw the readers’ attention. For you find a strong thesis statement, you can look your schema. What are the main ideas? The introduction in an essay is like a road map that shows the readers the directions of the main ideas. And it provides the readers the background information about your topic. So it should be interesting for the readers. It contains the thesis statement and and 2 or more main ideas which will be explained in the body of your essay. The body part contains sentences that support the introduction. İt lies between the introduction and conclusion. And it have topic sentence, supporting details and concluding sentence. Your essay is almost done. You have written about main ideas and have supported your sentences which is mixed with your research and your ideas. It’s the turn to write the finish of your essay. The part of conclusion partakes of summarizing your topic. So your conclusion part begins specific and moves to the general. İf you are difficulty in writing this part, you can use your introductory paragraph as a guide because a conclusion is the opposite of the introduction. Also your conclusion part should include a brief summary of the main ideas, but should not repeat things that were in the paper. Now readers have a result by reading a conclusion statement that sums up all the main points nicely. Yes, it is finished but you should review it for your mistake and should make sure that your paragraphs have the correct order. You should read the text from the beginning and correct your sentences that include grammar mistakes and incoherency. Don’t be afraid to get help people you know. Your a mistake teach you a new thing. If you have difficulty in correcting your mistakes, you can receive help from your teacher, friends or another person you want. 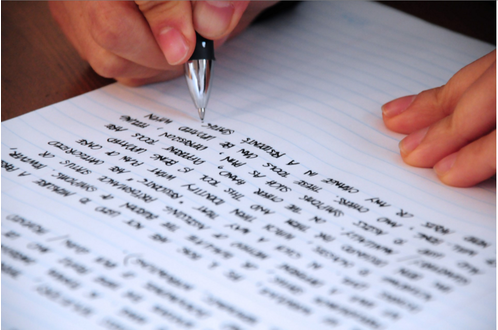 Finally, rewrite reliably your essay. Önceki: Önceki yazı: How Do We Accept Your Payments? Sonraki: Sonraki yazı: What İs a Comperative Essay ?